Senior Cricket Pre-season – Practice Match vs. St Andrews C.C. The season is less than a month away, time to get some valuable match practice. St. Andrews Cricket Club has been invited to join us in a friendly practice match to help prepare both clubs for the coming season. Newly appointed Captain/Coach of the St. Andrews Cricket Club (Pascoe Vale) for this season, Paul Newton was a key player in our McIntyre team of last season. Paul played with plenty of heart for our club and will be missed. 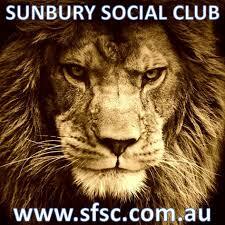 We wish him all the best and SCC is only too happy to host the day at the Boardman Oval, Sunbury. A squad of approximately 15 players will be selected on the day. For those who would rather a hit in the nets and a bit of a trundle, bring your gear. This is a full club function requiring all hands on deck, there will be a bbq lunch, we will need scorers and umpires so lets all get together and enjoy each others company in a relaxed setting before the real action starts in a few weeks. Dont forget training will continue every Tuesday and Thursday @ 5.00pm and every Sunday morning @ 9.30am from now on (except on the 23rd Practice game day) . Keep in touch with whats going on through this site and on FB.